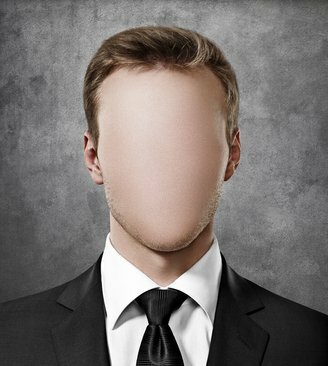 Impersonation is assuming another real person’s identity for the purpose of harming that person or gaining some benefit for yourself. In other words, it is maliciously impersonating someone else online and/or offline. An example of offline impersonation is showing or providing false proof of identity when getting pulled over. Maybe you don’t have a Driver’s License or an ID card, so you give your siblings information instead. The benefit is that the peace officer is able to pull your siblings information without you having to provide your own, so you avoid getting into further trouble for not having proof of identification. Online impersonation examples would include creating fake Facebook or other social media accounts for the purpose of harming another or to lead others to false pretense that the profile belongs to you. Social media users should beware because Texas laws regarding False Personation, also called False Impersonation, do exist and are enforceable. What are the criminal charges for impersonation? Impersonation is referred to as a “wobbler.” Meaning that it can be classified as either a misdemeanor (up to 1 year of incarceration) or a felony (up to 10 years of incarceration) depending on the damages incurred. What are some commonly used defenses for impersonation? Entertainment- when a person’s sole purpose for impersonating another individual is entertainment without harm or benefit to themselves. No Additional Acts- when an individual did not commit any additional acts other than simply identifying themselves as another person. Wrongly Accused- when a person is being wrongly accused. Some individuals have defended themselves on the account that their property was being misused but it was not them who personally impersonated another. Who can make the arrest for impersonation? Only a Peace Officer can make an impersonation arrest. Peace officers are defined as public sector employees or agents whose duties primarily involve the enforcement of laws. Who can represent me in an impersonation case? Only a licensed attorney can represent individuals and practice law in a state court. What are the main areas of law which may arise out of the impersonation of another individual? Privacy: The misuse of private information. Defamation: The action of damaging another person’s reputation. Also commonly known as slander/libel. Fraud: Unjustifiable misrepresentation with the intent to deceive. Also known as fraudulent impersonation and deceit. Copyright: The act of copyright infringement. Using another person’s works without their permission. Impersonating a Business: Falsely representing a company or a business. Below you will find the Texas Penal Codes regarding Online and Offline Impersonation.